People are fuzzy as to how evil it could get. But previously the Library was bound to the immortal Charlene and with her dead there is a Problem. And even though Apep is out of the picture, Jenkins is even more paranoid because at least then he had a prophecy to follow - he had a guide, he knew what to do. Now he’s flying blind and somewhat worried. Nicole, Flynn’s first Guardian, the Guardian who joined Flynn in the first film and who we all assumed was dead when a time machine went a little haywire. Instead she was blasted to the past and, according to Jenkins, became bitter and furious with the Library for not rescuing her from the past, stealing artefacts to use against the Library (including one to give her immortality - which is becoming seriously common these days) and generally planning naughty bad things. He also points out that becoming immortal kind of messes you up and makes you dark and twisted without a human connection (Charlene was his… which is also a worrying statement on Jenkins’s future). Flynn and Eve are both kind of shaky over the idea of someone being locked up forever but Jenkins justifies this under the need to preserve the Library. And the aforementioned prophecies required it. Jenkins is all about the ends justify the means (Cassandra and Ezekiel continue to follow this argument: Ezekiel definitely leery about any organisation that decides on life imprisonment based on so little while Cassandra is firmly on the side of “you hurt the library, you got it coming”). Getting Nicole to co-operate is difficult, but she clearly still has an intense focus on Flynn, still loving him. While Flynn is tortured by ALL THE GUILT because the reason said time machine exploded was because he tried to disable it and feels all responsible. Between these heavy emotions we also have Eve who has a Thing with Flynn seeing her predecessor (not) who Also had a Thing with Flynn and still kind of has a Thing for Flynn which would be awkward but Eve is immensely professional to the end. Points for this - Eve being jealous just isn’t really used here. I mean she has looks and is clearly uncomfortable (though this could be justified by the simple proof of the somewhat disposability of Guardians) but she’s not letting it get in the way. Lead by John Noble who is really doing the evil thing lately. 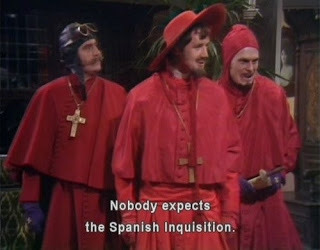 This faction of the Catholic church want to return to the Dark Ages because all of this learning is just bad and step one involves destroying the Library and murdering anyone who gets in their way. 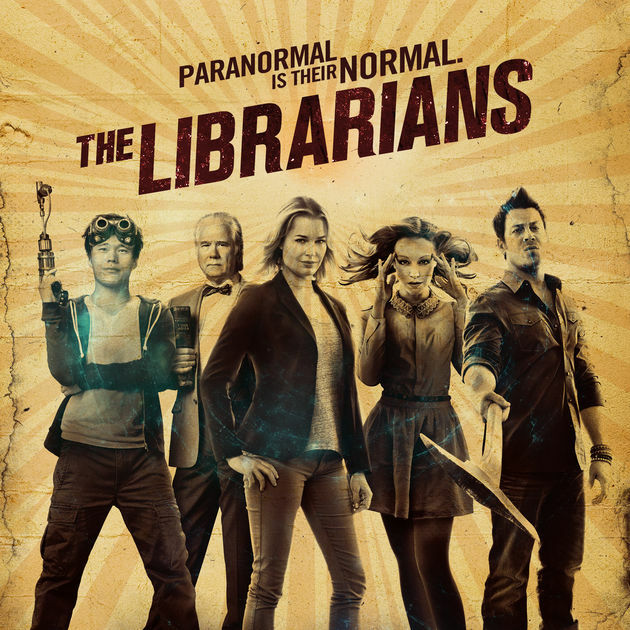 They’re surprisingly effective and the Librarians surprisingly not (even with Nicole commenting on how utterly awesome Eve and Flynn are together just in case we had any thoughts about her replacing Eve) which means they all - including Nicole - end up being captured by three priests (and John Noble who kind of hangs around being sinister). Not the Librarian’s finest moment. Of course some genius later they free themselves and the ritual to destroy the Library is both started and disrupted by Nicole, removing one of the stones so they can never be used again. She ends up lost in a vortex as well so Flynn risks his life to save her while the Librarians do some Librarianing to keep it open. Nicole then escapes because we need Ambiguous Character out there for future plot lines because she is definitely going to be back (so is John Noble. One does not recruit John Noble for bit parts. It is known). Eve and Flynn do have new insight to the Library though - and immortality - which adds a new slant to the tethering ceremony. Flynn is unsure about binding himself to an Institution which just did something pretty heinous - but Eve finds this as even more of a motivation to go ahead: because an Institution is as good or bad as the people involved. I really like this point about institutions. We have a society where we often demonise institutions for being, well, institutions - like institutions somehow exist outside of the people who control them. We use it both as an almost fatalistic condemnation of the good an institution does or could do (denying the possibility because INSTITUTION) while at the same time absolving the people involved in whatever terrible thing we’re condemning (except, maybe, to criticise them for being part of the institution in the first place).